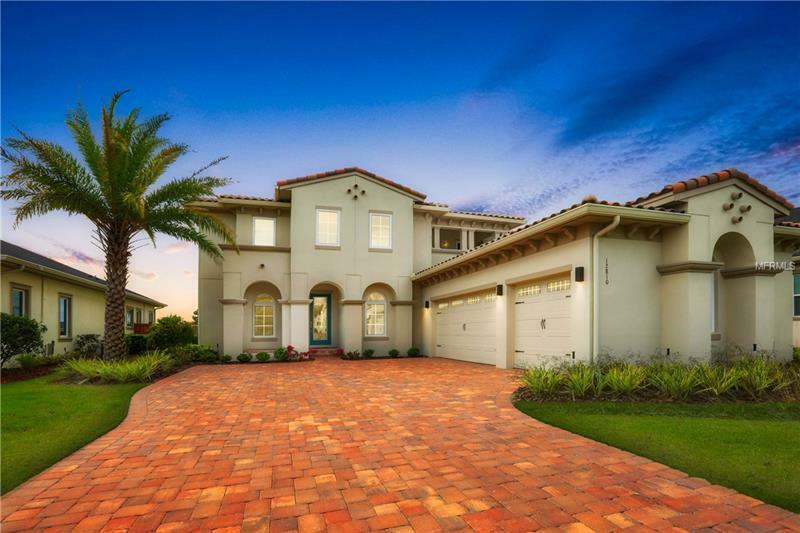 Live in the heart of Lake Nona within the gated Preserve at Laureate Park. Welcome home to the uniquely designed Courbet plan by Taylor Morrison. Built in 2017 this home has never been lived in and is new for you; showcasing 4 bedrooms 3 full and 1 half baths 3 car garage with 3998 square feet of living area. Downstairs the gourmet kitchen with Center Island opens to the gathering room and expansive rear lanai perfect for entertaining or relaxing with family or friends. Off the two story entryway is a den/office; a private half bath is adjacent to a large laundry room with direct access to the three-car garage and a formal dining room with butlerâs pantry opens to the kitchen. The oversized downstairs master suite has its own separate wing on one side of the first floor. Youâll have plenty of room for clothes in the dual walk-in closets and lots of room to relax in the master bath featuring double vanities corner soaking tub generous sized separate shower and enclosed water closet. Upstairs features 3 bedrooms 2 full baths and is connected by a bridge overlooking downstairs living. In addition upstairs there is a separate large loft/game room media/bonus room opening to an outdoor balcony terrace. Laureate Park offers resort style living at its best including the LP Gym Aquatic Center with lap pool and Water Park sand volleyball court and several restaurants. Lake Nona Town Center is currently building phase 2 including Movie Theater bowling alley and more! Includes one year warranty.